Illustration for a short story/flash fiction project. 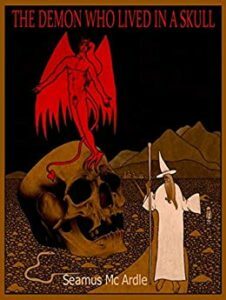 The demon who lived in a skull is a tale about a red winged demon and his pet white serpent, they live in a giant skull in the middle of a forsaken desert. The Demon prevents travelers from crossing the desert. An old man who lives in a village on the outskirts of the desert, views the demon from his telescope and decides to walk out into the desert to confront the demon. I created the cover illustration in 2017. It is a hand drawn image using inks and mixed media on heavy paper. Available on Amazon in the link below. 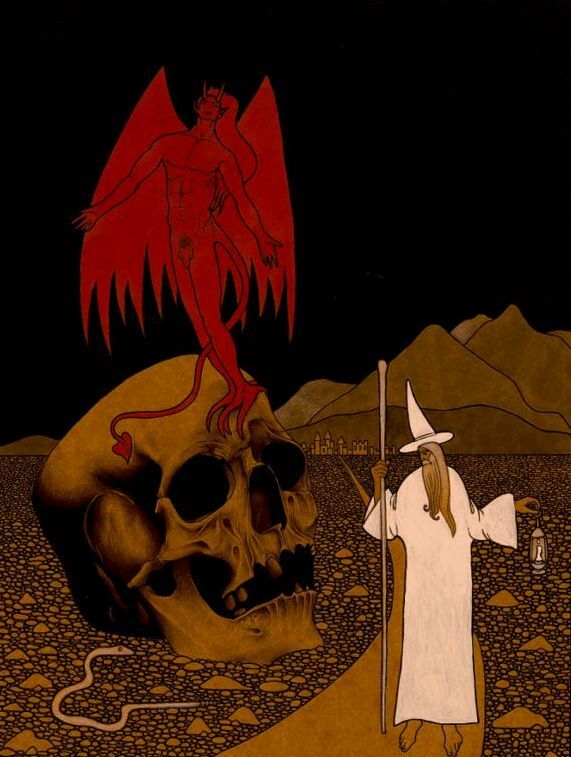 Cover design for The Demon who lived in a skull.